Run into Ackim Mpofu or Charlton Muhlauri on Northeastern’s campus, and there’s a pretty good chance the other is not too far behind. 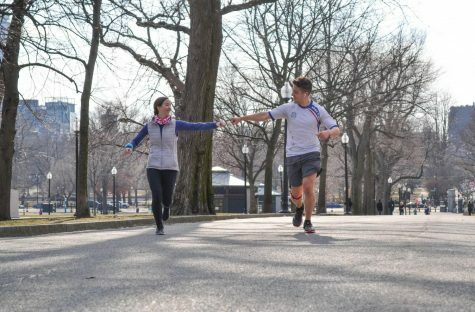 The two senior soccer players have been practically inseparable since they arrived on the Boston scene in the fall of 2014. They’ve taken many of the same classes together, they hang out on the weekends and they’ve even spent several holiday breaks together. Both originally from Zimbabwe, their bond began two years before they become teammates at Northeastern. Muhlauri came to the United States in 2011 and attended Kimball Union Academy in Meriden, New Hampshire, while Mpofu arrived in 2012 and went to Cushing Academy in Ashburnham, Massachusetts. The Zimbabwe connection cannot be understated. They share many of the same cultural similarities and speak the same languages. Having a right-hand man with a similar background has been huge for the both of them. Northeastern soccer as a whole is equipped with a multitude of nationalities. From Sweden to Venezuela to Japan, the team is made up of players from around the globe – only 15 players on Northeastern’s 30-man roster are from the United States. As high school juniors, they were selected to play in the Junior New England All-Star Game. “We had known of each other before then, but that’s definitely where it all started,” Mpofu said. As they were nearing the end of their high school careers, Mpofu and Muhlauri sprouted into two of the top prospects in the region and began receiving college scholarship offers. They visited Northeastern together, and as time went on, they saw a future where they could play with each other at the collegiate level. From the very beginning, they knew they were going to be roommates. And now, in their senior year, they are the only duo on the Huskies’ roster that have lived together all four years. 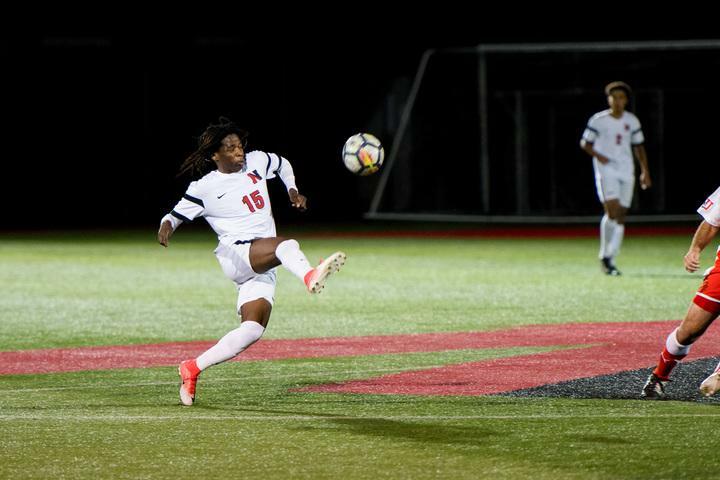 Now, as the two young Zimbabweans quickly approach their final semesters as Northeastern Huskies, they reflect on their last four years and appreciate not just how far they’ve come as soccer players, but the people they’ve met along the way to turn them into the young men they’ve become. Oct. 21’s Senior Night against James Madison marked Mpofu and Muhlauri’s final CAA match on their home turf. Going through the same routine with the same people in the same program for four years can be grueling and tedious. But on that day at Parsons Field, the two were suddenly hit with the reality that things were about to change. Mpofu, who hasn’t been able to play this season because of a rare disease called Pigmented Villonodular Synovitis (PVNS) that is characterized by inflammation and overgrowth of the knee joint lining, was hit with similar emotions.